A contemporary store representing leading New Zealand fashion label, moochi, is attracting a strong following in Queenstown with its distinctive on trend, sophisticated style. The launch of moochi royal, which is a take on the name Queenstown, is the label’s 12th New Zealand boutique and a milestone for its owners and directors, Kellie and Chris Taylor, who founded the company out of a small design workroom in Mount Maunganui nearly 20 years ago. The opening of the Queenstown boutique caps off an extraordinary year in 2018 for Kellie, Chris and the moochi brand – they have also opened two new stores in Nelson and Havelock North and have upgraded two existing stores in Milford and Newmarket. 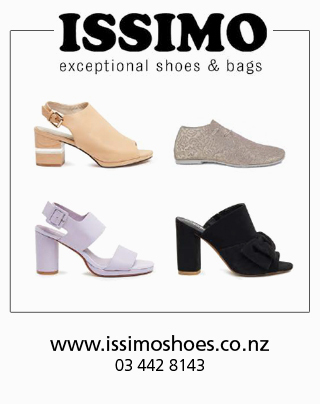 She says it is their commitment to understanding the modern Kiwi woman and what she likes to wear that has helped the brand become so successful. Kellie personally designs or oversees the design of all moochi garments at their head office and design studio in Auckland, and most of their collections are made in New Zealand. The small production runs ensure moochi’s seasonal product mix is kept current and exclusive and the Queenstown store receives a fresh drop of new designer garments every week.